The GRE can feel like a mysterious black box: your answers go in and a score comes out. But there must be more to it than that, right? Just how is the GRE scored? As you might have guessed, the process is much more complicated than just adding up the number of questions you got right. 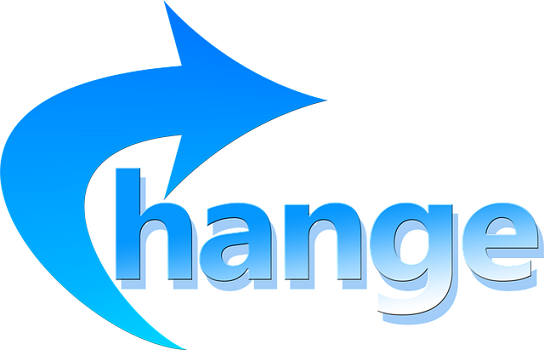 In order to ensure the most accurate scores, processes called adaptive testing and equating are used. Read this guide to learn what these terms mean, how they affect you, and what has to happen before you get your official GRE scores. Before we get into the nitty-gritty of how the GRE is scored, let’s first look at some key GRE numbers. In this section, we’ll go over the possible scores you can get on the GRE and what the average score for each section is. 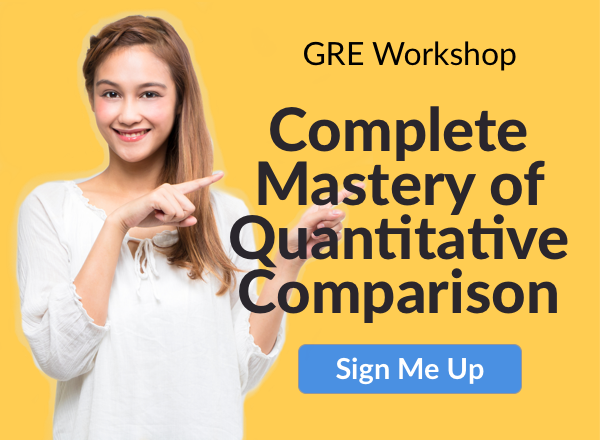 After you complete the GRE, you’ll receive three scores: Quantitative Reasoning, Verbal Reasoning, and Analytical Writing. Quantitative Reasoning and Verbal Reasoning both have a score scale of 130-170, in one-point increments. Your unofficial scores for both of these sections will appear on your computer screen immediately after you finish the test. The Analytical Writing section has a score range of 0-6, in half-point increments. This score will be available online, along with your official scores for the other two sections, about 10-15 days after you complete the GRE. You’ll receive an email telling you to check your My GRE account once they’re available. But where do those numbers come from? How is the GRE scored? What does ETS do to ensure the tests are fair and people don’t receive a lower score just because the test they took that day was harder than a test given last year? Read on to learn each of the steps that have to happen before you receive your GRE scores. The first process we’ll be discussing is adaptive testing. What Is Adaptive Testing? How Does It Affect You? What does this mean? On the GRE, both Verbal Reasoning and Quantitative Reasoning have two sections, referred to as “measures” by the ETS. How well you do on the first of these measures determines which questions the second measure will contain and how challenging those questions will be. Basically, your first measure for a section will have medium-difficulty questions, and how well you do on those questions will determine if the questions in your next measure are pulled mostly from the easy, medium, or challenging question bank. So if you only get one question wrong on the first Quantitative Reasoning measure, your second Quantitative Reasoning measure will have more challenging questions, compared to the second measure of someone who only got half the questions on the first measure correct. The types of questions you answered incorrectly on the first measure don’t matter. If you got all the geometry questions wrong on the first measure, that doesn’t mean only geometry questions will be easier in the second measure; the only thing that matters for this is the number of questions you answered incorrectly. Also, if you do really well on the first measure, that doesn’t mean every question in the second measure will be extremely difficult to solve. Conversely, if you don’t do very well on the first measure, the questions in the second measure won’t all be easy either. The adaptive testing just means that, in general, if you do well on the first measure, your questions on the second measure will be a bit more difficult than someone who didn’t do as well. When you’re taking the GRE, you won’t receive any scores until the end of the exam (and those just for the entire Verbal and Quantitative Reasoning sections), so you won’t know how well you did on the first measure or which difficulty level your second measure questions are. Adaptive testing allows more differentiation between the scores of test takers so schools and others viewing GRE scores can have a more accurate idea of how well individuals did on the exam. If you got 10/20 questions correct on the first Verbal Reasoning measure and then got a perfect 20/20 on the second measure, your final section score won’t be quite as high as someone who got 18/20 questions correct on the first measure and then 12/20 on the second measure. Even though you both ended up getting 30/40 questions correct, the person who got 18/20 questions correct on the first measure will have been given more challenging questions than you did on the second measure. The increased difficulty of these questions results in a slightly higher final score. Adaptive testing also means that how well you do on the first measure of a section is slightly more important than how well you do on the second measure. This is because your score on the first measure affects the difficulty of the questions you get on the second measure, and you can only get a top score if your second measure questions are the highest difficulty level. However, on the whole, don’t worry about adaptive testing too much. Your goal should be to answer as many questions correctly as you can, which would be your strategy even if the GRE didn’t use adaptive testing. How Are Raw GRE Scores Converted to Scaled Scores? After adaptive scoring, another process comes into play before you can get your official score. Your raw score has to be converted to a scaled score (the official score you receive). Your raw score is the number of points you earned on the exam (you get a point for each question you answer correctly, and no points are deducted for incorrect answers). However, the scores you receive for both Quantitative Reasoning and Verbal Reasoning will be between 130 and 170. Since Verbal Reasoning and Quantitative Reasoning both have 40 questions each, you might assume that your final score is just 130 + the number of questions you answered correctly. While this is close, it’s not completely true. So how are GRE scores calculated? And why can’t just the raw score be used? The process of GRE raw score conversion is known as equating. Equating is done in order to control for slight variations in difficulty between exams and specific exam questions. First, this means that, if the GRE you took one day is slightly more difficult than a version someone took a few months ago, equating will be used to ensure that your score isn’t unfairly impacted by the more challenging exam. It’d be impossible to have every version of the GRE be exactly the same level of difficulty, so equating ensures that average scores stay consistent across different versions of the test. Additionally, equating also controls for the difficulty of the questions you answered in the second measure of each section. In essence, equating takes into account both how many questions you answered correctly as well as how difficult those questions were. To look at an example like the scenario described in the adaptive testing section, if you answered 30 questions out of 40 correct on Verbal Reasoning, your score might be just a straight 160 (130 + 30), or it might be a 158 if the questions you answered were easier and/or your test as a whole was easier than average. On the other hand, your score might be, say, a 163 if the questions you answered were more difficult than average. The exact process ETS uses for equating isn’t publicly disclosed, but, like adaptive testing, it won’t have a huge impact on your final score, and your main goal should still be to answer as many problems correctly as you can. How Are the GRE Essays Graded? Because they aren’t multiple choice, the two GRE essays in the Analytical Writing section go through a different scoring process than Quantitative Reasoning and Verbal Reasoning. This process is more straight-forward than the Verbal Reasoning and Quantitative Reasoning scoring process, although it does involve robots (sort of). 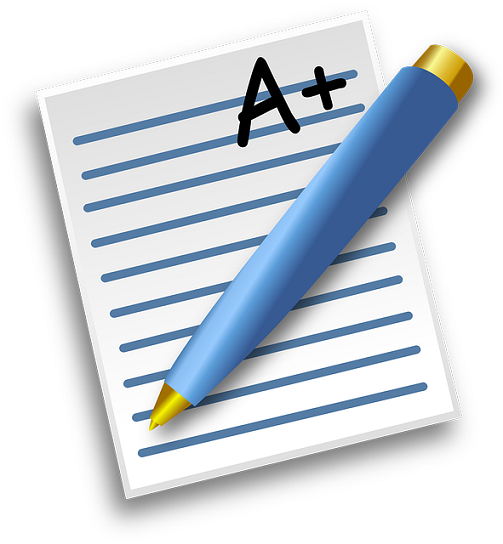 Each essay is read by at a trained grader and given a score from 0-6. Then the essay is scored by an e-reader, a computer program developed by ETS to measure writing proficiency based on scores in multiple areas. If the human grader’s and e-reader’s scores “closely agree” (are within a point of each other), then the average of those two scores is used as the final essay score. If they disagree, a second human grader scores the essay, and the average of the two human scores is the final essay score. To get the final Analytical Writing score, the two essay scores are averaged, and that value is rounded to the nearest half-point. How Are Paper GREs Scored? Most people take the GRE on the computer, but if there are no computer test centers near you, then you’ll take the GRE on paper. On page 118 of the GRE Guide to the Paper-Based Test, you can see a sample paper-based exam score scale. Looking at this will give you an idea of what your score will be based on how many questions you answer correctly, but be aware that this can vary a lot, more so than the computer-based exam. The scoring process of paper-based GREs is similar to that for computer-based GREs, but there are a few differences. The biggest difference is that there is no adaptive scoring because, obviously, on a paper exam, a test taker’s scores on the first measure of a section can’t be immediately graded and used to select the questions of the second measure. Instead of adaptive scoring, medium-difficulty questions are used for both measures. Equating is still used when converting from raw scores to converted scores, and this also takes the difficulty level of the questions into account. Also, part of the purpose of equating is to ensure that the paper-based and computer-based GREs have an equal level of difficulty, so don’t worry about one test format giving you a disadvantage. For Analytical Writing, no e-reader is used to grade the essays. Instead, two human graders are used, and, if the scores they award vary by more than one point, a third human grader is used, and the final essay score is the average of those three scores. Otherwise, scoring is the same between the paper-based and computer-based versions of the GRE. What Does GRE Scoring Mean for You? The process of scoring your GRE is much more than simply adding up the number of questions you answered correctly. 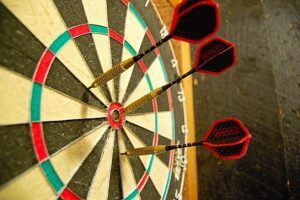 Adaptive scoring is used to determine question difficulty and differentiate more between top-scorers. The process of converting from raw scores to scaled scores is known as equating, and it takes question difficulty into account in addition to the number of questions answered correctly. GRE essays are graded using a combination of human graders and computer programs. The process for grading paper-based GREs is similar, but there is no adaptive scoring and only human graders score the essay. What all this means is that, first of all, you don’t need to worry if the GRE is harder or easier on the day you choose to take the exam because these differences are controlled for. Additionally, getting more questions correct in the first measure of the Verbal and Quantitative Reasoning sections will give your final scores a slight boost because of adaptive scoring. So make sure you don’t just breeze through the first questions on the test in order to get everything answered. While the process of how the GRE is scored can seem complicated, it’s important to not worry too much about it. The best thing you can do to get a high score is answer as many questions correctly as you can, regardless of adaptive scoring and equating. Taking the GRE soon? Get step-by-step instructions on how to register for the GRE to make sure everything is ready come exam day. How much does it cost to take the GRE? Find out by reading our guide on GRE costs, and learn what hidden fees there are and how to reduce them. Thinking about taking a GRE Subject Test? Learn everything you need to know about Subjects Tests as well as how to decide whether or not you should take one. Next Next post: GRE Exam Fee: How Much Does the GRE Cost? GRE Logistics	GRE Exam Fee: How Much Does the GRE Cost?